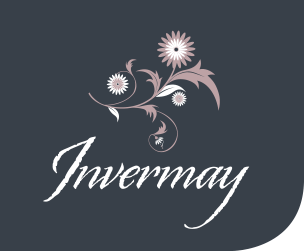 There are a number of standard questions that most guests like to ask before booking their stay at Invermay, and you will find the answers to most of these as you browse the pages of this website. However, we thought it would be helpful to collect all of the answers together in a single place, so here they are. Skip FAQ and go directly to check availability and book. Q. What is the minimum stay at Invermay? A. Usually, 3 nights, except for some high season periods (Christmas, New Year, summer school holidays) when it is 7 nights. Q. What is the largest party the house can accommodate? A. The house has four bedrooms which sleep 8 plus a couple of fold-down sofas and a travel cot, so if you were going for a record you could have 12 adults and a baby. However, we would suggest that with its 3 bathrooms and various living spaces, the house is best enjoyed by parties of 4 to 8. Q. Is the house suitable for children? A. Children are welcome. Both a travel cot and a high chair are available, there is a lovely back garden to play in and plenty of indoor games. However, parents should be aware that the house is not equipped with stair gates. Q. Is there free parking on site? A. Yes, there is space for 3 or 4 cars. Q. Is smoking allowed at Invermay? A. Neither smoking nor vaping are permitted anywhere indoors, but both are allowed in the outdoor areas. Q. When are check-in and check-out? A. You can check-in any time after 4pm and check out and check-out up to 10am. Q. What are the payment conditions? A. If you make your booking more than 30 days before your planned arrival date, then a deposit equivalent to 30% of the total cost of your stay must be made. If you make your booking 30 days or less before your planned arrival date, then a deposit equivalent to the full cost of your stay must be made. A. Cheque, BACs transfer and debit/credit card (Visa, Mastercard & American Express). A. If a booking is cancelled less than 60 days before arrival, then a charge equal to 50% of the cost of the stay will be made. If a booking is cancelled less than 30 days before arrival, then a charge equal to the full cost of the stay will be made. In the event of a no show, or booking reduction (after the arrival date), the full cost of the booking will be charged. Now check availability and book. A copy of our full Terms & Conditions is available to be downloaded here. If you have any questions to which you can’t find the answer here, please contact us by email or call us on 07739 478392. © 2015 CantoThemes. All rights reserved.